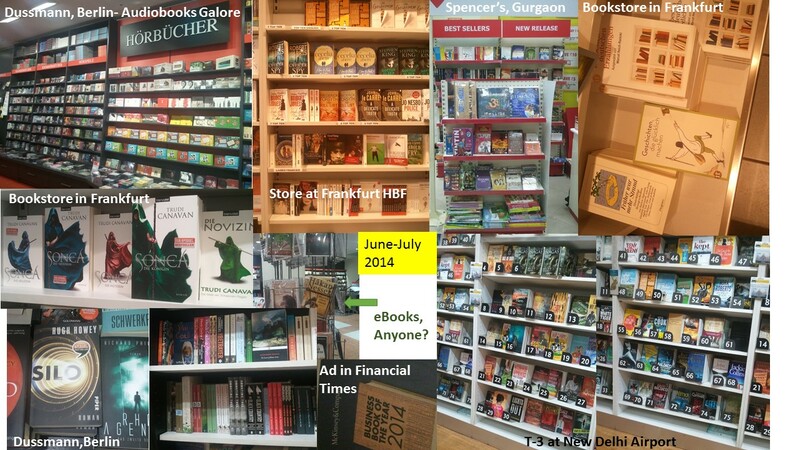 In June and July this year, I took several pictures of bookstores in Frankfurt, Berlin, New Delhi airport and Gurgaon. I put them into a compilation – cannot really call it a poster or a collage, posting here to give a flavor of what is selling in different places. Previous Post Cover Design Finalized!